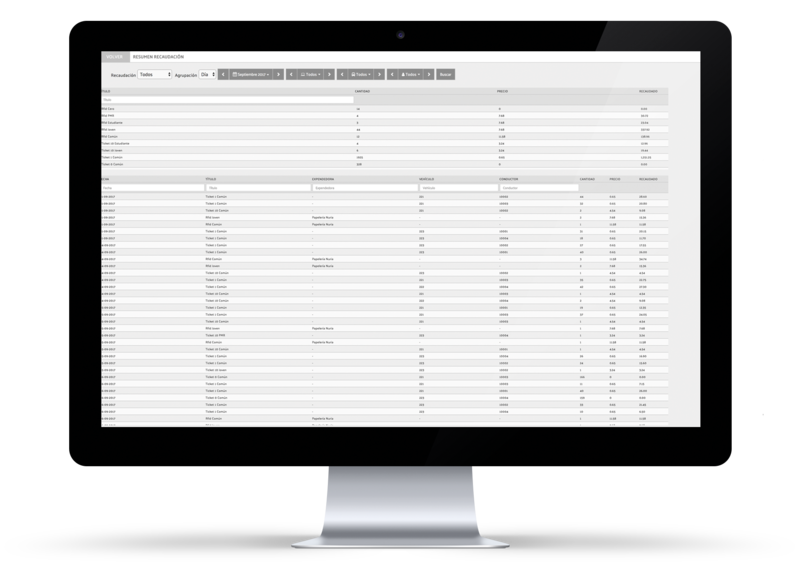 Centralize all sales information, validations and vehicle occupancy on a single platform. 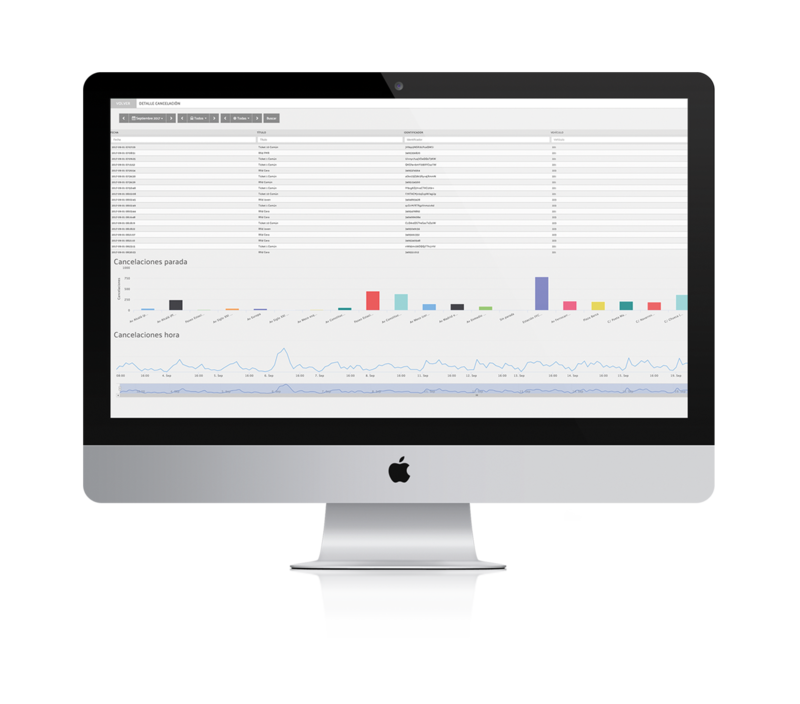 Management of sales with the same platform as for fleet operation management. Centralization of all the information on a single platform, grouped in three large functional blocks: ticket sales, validations or passenger use of tickets and vehicle occupancy. Always with maximum security, as the tickets used by the system are protected against data tampering and cloning. Moreover, the use of blacklists mean that tickets being used improperly can be blocked. You can combine validation information and occupancy rate so that you can determine the fraud rate in the corresponding business unit. Datik's sales management model means that the transport company can set up its charging model using a detailed procedure, so that no detail is overlooked. Datik's solution enables passengers to use various physical media to make the payment. Paper tickets carry a QR code for one-off or multi-journey tickets. RFID tickets use Mifare or Mifare DESfire technology to offer a wide range of possible tickets, from monthly subscriptions to wallet cards. NFC is the latest in ticketing system technology, where the passenger makes payment using a mobile phone. iPanel - Ticketing provides a summary of sales and validations generated by the operation. How much was collected each day of the month? How many single tickets were sold? How many monthly passes were bought or recharges performed online? How many passengers validate their tickets at each stop? What are the stops in demand with passengers? Datik’s solution enables the creation of one-off and multi-journey tickets, subscriptions of different durations (weekly, monthly, half-yearly and annual) and even wallet cards. The tickets used by the system are protected against data tampering and cloning. Moreover, the use of blacklists meant that tickets being used improperly can be blocked. Do you want detailed information? We also have it. Summary reports are not a always the best solution. Sometimes, details on sales and validations are needed to find out what is really happening. When did recharging take place last week? Finding the details of events can shed light on hidden incidents, such as payment gateways, card wallet recharging websites, etc. 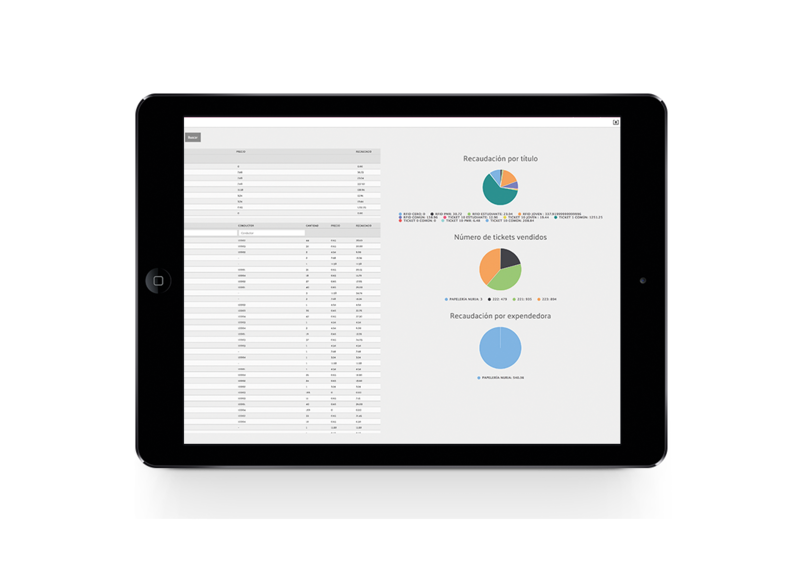 They can also help you find out the distribution of sales or validations throughout the day. iPanel Ticketing requires the installation of different devices in the vehicles. Optionally, POSs or automatic vending machines can be placed in stations. These automatic machines can be adapted to each project, to include charging by credit card, printing receipts, touch screen or keypad, RFID card recorder, etc. But what was the real occupancy of the vehicles? The systems counts people entered in the solution and shows actual entries and exits detected by this sensor, at each stop. This information can be useful for detecting and measuring fraud rates during operation. Reliability >95% en cualquier situación de iluminación.